A spacecraft attached to the International Space Station did an “emergency maneuver” to push the complex, which now houses six people, away from a threatening piece of space debris Oct. 27, the European Space Agency said in a statement. A hand-sized shard of the Russian Cosmos-2251 satellite, which collided with a U.S. Iridium satellite in 2009, would have come within at least four kilometers (2.5 miles) of the orbiting outpost. This was close enough for the space station partners to agree to a move six hours before the potential impact. “This is the first time the station’s international partners have avoided space debris with such urgency,” the European Space Agency wrote. The push to a safer orbit took place using the agency’s automated transfer vehicle Georges Lemaître, which docked with the space station in August. While many collision threats are spotted at least days before impact, occasionally ground networks aren’t able to see a piece until 24 hours or less before the potential impact. 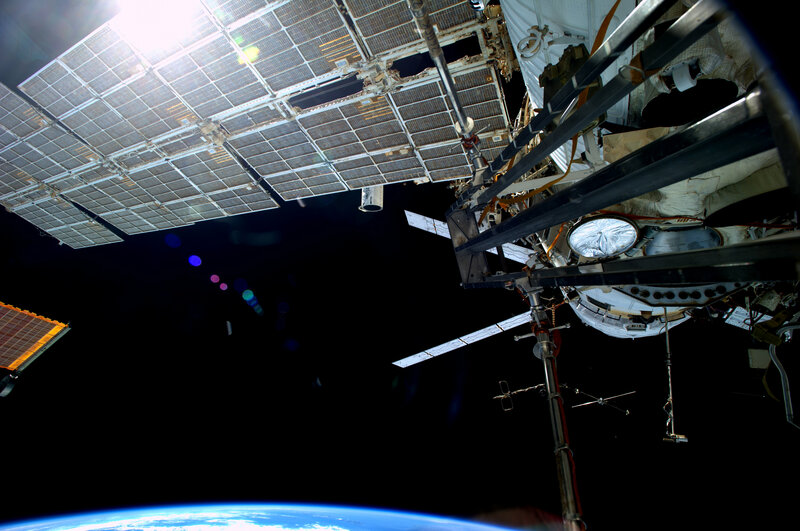 Since 2012, the space station has normally done last-minute maneuvers using Russian cargo Progress vehicles, but this time around none were docked there. This is where the ATV came in. Controllers at the ATV control center in France then did a four-minute preprogrammed move that raised the station’s orbit by one kilometer (0.6 miles), enough to get out of the way. The ATV is expected to remain at the station until February, when it will undock and burn up in the atmosphere. This is the last of the series of ATVs that Europe agreed to make as a part of its space station agreement.